DB Schenker, a leading global logistics provider, proudly celebrates 45 years providing freight forwarding services and logistics solutions in Brazil. Since 1973, DB Schenker has held a position of prominence in the local market supporting industry and trade in the global exchange of goods through land transport, worldwide air and ocean freight, contract logistics and supply chain management. 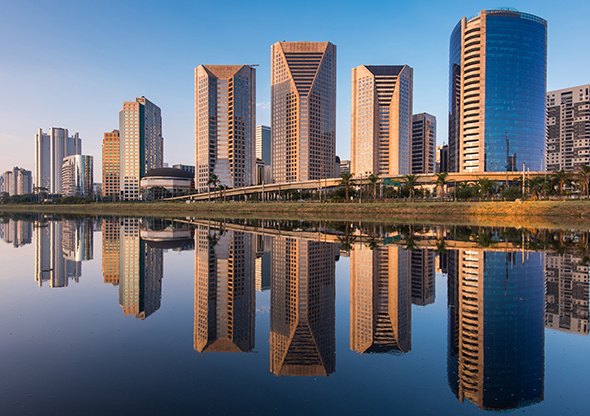 The company has grown to more than 730 employees in 11 branches located in five states in Brazil; Campinas, Curitiba, Embu, Guarulhos, Itajaí, Paranaguá, Porto Alegre, Rio de Janeiro, Santos, São Paulo (HO), and Viracopos. Plus, dedicated partners across seven Brazilian states; Partners: Belo Horizonte; Brasília; Fortaleza; Manaus; Recife; Salvador; and Vitória for extensive market coverage. Over the last 45 years, DB Schenker has grown and evolved right along with Brazil itself—a country that has transformed into a critical aspect of many of the world’s supply chains. Based in the São Paulo area, the logistics provider set up shop in the country with the goal of working with the many different multinational companies and industries that were doing business in this strong, emerging marketplace. “We started with air and ocean freight services, with a focus on working with shippers that were importing their products into Brazil,” says Roberto Moreno, DB Schenker Brazil’s Managing Director. Combined, these factors have helped DB Schenker persevere and grow—all while supported a wide swath of industries and hundreds of individual shippers. Of course, that level of coverage isn’t always easy to manage. DB Schenker has faced its fair share of challenges in the Brazilian market, where transportation infrastructure is an ongoing issue. “Ports and airports are constant bottlenecks for Brazilian importers and exporters,” says Moreno, who points to limited capacity to receive, load/unload containers; limited airport storage area; and strikes that include both customs and Brazilian authorities, as some of the key obstacles that companies face. “Taking care of our customers’ demands requires a lot of creativity and flexibility,” says Moreno, noting that DB Schenker maintains partnerships with key stakeholders at ports, airports, and with Brazilian authorities. It also continually seeks out alternatives and different possibilities for its customers—all with an eye on faster and more economical logistics solutions. “Hard times are always good opportunities for innovation,” says Moreno. “The last three years has been especially challenging, what with Brazil’s poor economic scenario and a reduction in shipping volumes across most of all industries. Thank you to our customers for the last 45 years.